From Marahau to Totaranui and return in just three days - it's an adventure! Spend three days in the stunning Abel Tasman from Marahau to Totaranui and return. Spend three days in the stunning Abel Tasman. The first two days see you kayaking from Marahau through to Onetahuti. We collect your kayak for you on day two and leave you to walk North through to the last water taxi pick up point, Totaranui. The bush through here is lush and the coastal views amazing! We collect you at the end of day three when the water taxi retraces your route back to Marahau. 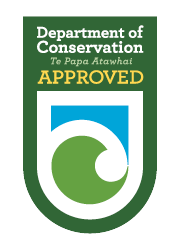 Recommended campsites: Night 1 Observation Beach or Te Pukatea Bay or Anchorage. Night 2 Onetahuti. Start paddling at Marahau and finish at Onetahuti. 2 days of kayaking allows plenty of time to explore all the way up the Marine Reserve. Walk to the Northern taxi pick up point Totaranui. Retrace your steps on the water taxi on your journey back to Marahau.